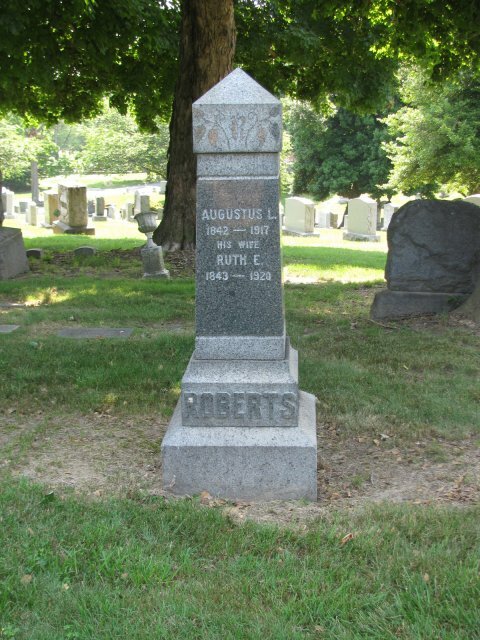 Augustus L. Roberts, a reviser in the government Printing office and a resident of Washington since 1882, died early yesterday morning after an illness of several months at the Sibley Hospital. Funeral services are to be held Friday afternoon at 3 o'clock at Hines' undertaking establishment. Interment will be in Glenwood cemetery. Mr. Roberts was born in Gill, Mass., April 21, 1842. He was a civil war veteran, having enlisted at the outbreak of the conflict in Company E 6th Vermont Volunteers. He was wounded at Robinson run, Va., October 10, 1863, and was thereby incapacitated for further field service. He was transferred to the Veteran Reserve Corps from which he was discharged at the expiration of his term of service. Mr. Roberts was connected with a number of newspapers, working in many capacities in the printing trade. In 1860 and 1861, he was part owner of the Ludlow, Vermont, Gazette. He was appointed to the government printing office in 1882. He had been a member of the printers' union for more than forty years, and was a delegate to the international convention held at Philadelphia in 1876. Mr. Roberts is survived by his wife, Mrs. Ruth E. Roberts, and two grandchildren: Ruth M. Roberts and Luella A. Schmidt. Military Record: ROBERTS, AugustUS L., 19, Ludlow, enlisted 9/27/61, mustered in as 2d Corporal, Co. E, 6th Vermont Volunteer Infantry, transferred to Veteran Reserve Corps 4/15/64 and mustered out 10/15/64. Source: Evening Star, Washington, D.C. Wednesday, September 19, 1917. Transcribed by Richard S. French from microfilm at the Martin Luther King Jr. Memorial Library, 901 G Street NW, Washington, D.C. 20001; Revised Roster, p. 96.